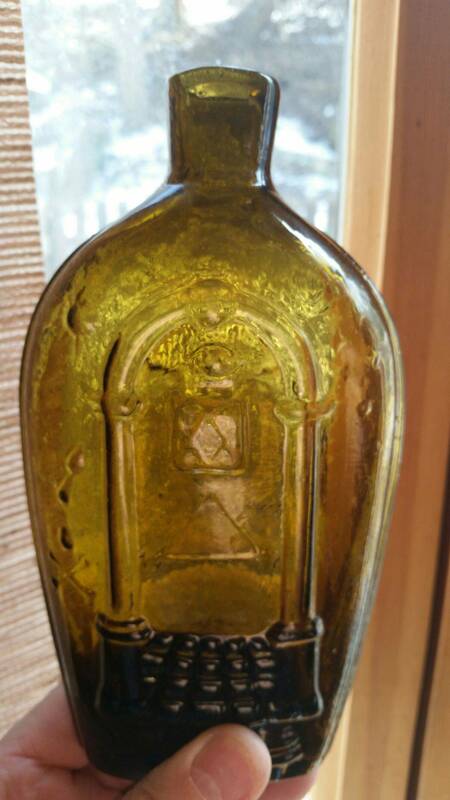 I have had interest in and collected some old bottles that I have found at random sites for 40 years but I have more recently become interested in mostly 19th century hand blown bottles. Although my interest is broad, I particularly love the styles, varying colors, forms and feel of wine and spirits bottles and if I know the history of a bottle, so much the better. Black glass bottles are my current favorites. My collection is growing and I am trying to find bottles that were blown in different types of molds and with different applied finishes. I have yet to find a free blown bottle in sites where I have looked. I hope to have more time to search and dig when I retire next year. I collect antique pesticide bottles! Bottle Digger from the New England Ma. area starting back when I was 16 years of age in the city of Westfield Ma. Collecting & Hunting bottles from 1870's and older. Catasauqua Historian. Chem Eng by training. August Hohl, Old Dutch, Stine and Kramlich, Lenherts, etc. Ghosttowner in far west texas. Found lots of broken bottles, looking for my first treasure bottle! (We can dream right) Take pictures& leave footprints. in 1783, the german Jacob Schweppe invented the worldwide softdrink industry. as a senior marketing man, I build up my spiritschweppes "wunderkammer" - a cabinet of curious refreshment. The early practitioners of science in Europe, which formed collections in cabinets of curiosities with bits and pieces of art, natural history and antiquities. So I am researching and digging to the roots of Coke worldwide, collecting the milestones of softdrinks and mental refreshment. A private collection in germany near Berlin contains pioneer items and stories of refreshment of the 18/19th century like Spa, Selters, Schweppes, Struve, Bilz and last not but least Coke, today worlds no1 refreshing brand. My blog www.spiritschweppes.com is a meeting point of diggers, divers, experts and collectors worldwide. my pinterest site https://www.pinterest.com/spiritschweppes/spiritschweppes/ is a virtual collection of my loved thema "eggbottles". I'm very new to this and I would like some help on locating privy's so I can find some old bottles. My Fiance would like some old bottles for the wedding to re-purpose them and use them for the center pieces. I have permission to a lot of old places (because of metal detecting) but I'm still lost on how to locate the privy's. My grandfather and I made a probe last night and I tried it in my back yard (house was built in 1910) but the ground is extremely hard and I was only able to go down maybe 3-6 inches. Is that normal? I've watched your videos and it seems like it's effortless when you do it. I can send you pictures of the probe after lunch. I didn't use spring metal on the probe because it was a old water line finder that he already had. We welded a ball bearing on the end but not sure if it's right. I also have this site where I have found many old artifacts and coins at and I was wanting to find the privy on there also. If I sent you some pictures of some spots at the location that I'm curious about would you be able to help me identify them if you think they would be a good spot to dig? I appreciate any help you lend. Thanks for making the videos you do because your the only one on youtube that shows how probes work!